This is the one where the web site would not allow the correct sleeve length to be selected. needs to be returned. Response from Charles Tyrwhitt: I am sorry for the misunderstanding here, but as this shirt is part of our casual range it is sized differently to the formal shirts we offer. Sizing for casual shirts works on a small, medium, large etc. basis, where the sleeve length is determined by the overall size. In the case of a large, this would be 35" (89cm) so to get a shorter sleeve, you would need order a smaller size. For each size down from a large, the sleeve length reduces by 1". Perfect fit and very high quality. 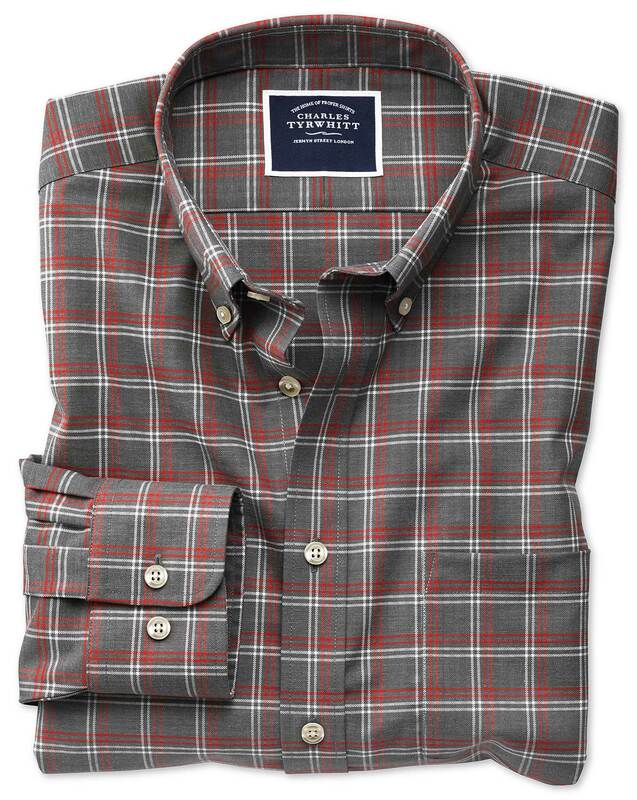 If you had available more button-down collar in my size I'd be tempted to purchase. Response from Charles Tyrwhitt: Thank you for your feedback. I do understand your disappointment with the sizing of our casual shirts. Sadly, we don't have any plane to amend the sizing to our shirts but we will take your feedback on board. We thought of a different colour when we placed the order for this shirt. I guess the shirt's colour in reality can be different from the picture/camera-shot photo displayed on the website because of the lighting when the picture was taken. My husband still loves the shirt and does not mind the colour.